The studio is jammed packed for the biggest show of the year, as MJP is joined by Marc Chouen, Green Man and the returning Jimmy J from Take It Home TV. Together they go over the highs and lows of the Showcase of the Immortals, from the matches, to the surprises, to the outcomes and which guest host was constantly seen on TV. You didn't want to miss out on WrestleMania and you don't want to miss out on this episode! 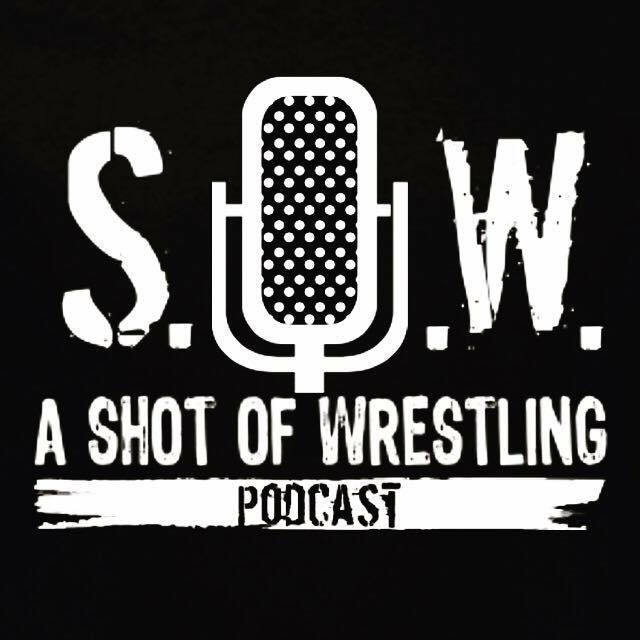 Marc Chouen is back in studio, the Voice of a Generation, Pete Rosado dials it up and together with MJP, they recap the night that was BCW's Third Anniversary! From Marc getting punched in the face, the invasion by BWF and who walked out as BCW Champion. With Anniversary in the books, we look forward to WrestleMania, they cover the card and offer their expert predictions, and Green Man chats with the East Coast Syndicate. All this and a lot more you don't want to miss! Marc Chouen joins Michael J Puddy this week, the final stop before BCW's Third Anniversary Show! They go over the card, both the matches Pete Rosado announced last week and the new ones announced just this week. Also, Green Man returns this week with an exclusive interview with the Cyborg Saiyan, Rick Rekon. All this and a lot more, including a potential SoW spinoff. The voice of BCW is back, as Pete Rosado joins MJP to talk all about the upcoming third anniversary of Brii Combination Wrestling. They also reflect on the life of King Kong Bundy, the controversial Rousey video and how legendary is the Undertaker's Streak. All this and more on a show that could be described as money! Michael J Puddy is back from his week off and is joined yet again by the Hollywood Saiyan, Marc Chouen. Together they not only talk about their birthday celebrations but celebrate the returning Roman Reigns. The Big Dog wasn't the only return this week, the Animal came back and made a big statement. The next inductee was announced, Sunny was arrested again and the twitter war heats up between Ronda Rousey and Becky Lynch. All this and much more on this week's show! MJP welcomes back Marc Chouen to the show. Together they talk about the latest news in the wrestling world including Jimmy Uso getting arrested, what the future could hold for Batista and the rumored upcoming schedule for AEW. Green Man chats with America's Favorite Agent, AJ Pan and it's the Hollywood Saiyan's birthday, so it's time to party!